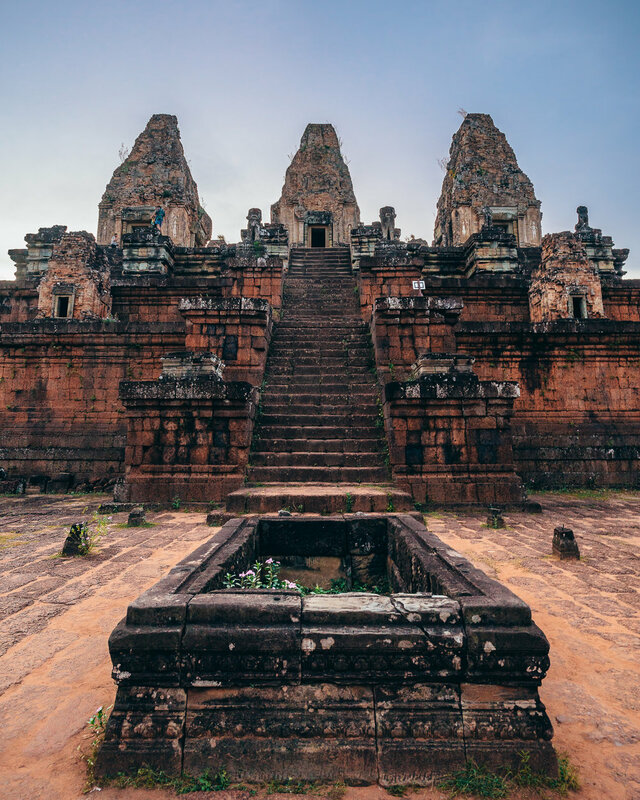 Angkor is one of the most known archaeological sites in the world, and it is one of the main reasons visitors flock to Cambodia every year. Point is, you don’t want to miss it — especially if you’re already planning to visit Southeast Asia. The Angkor complex consists of several temples, with the most important and recognized one being Angkor Wat. 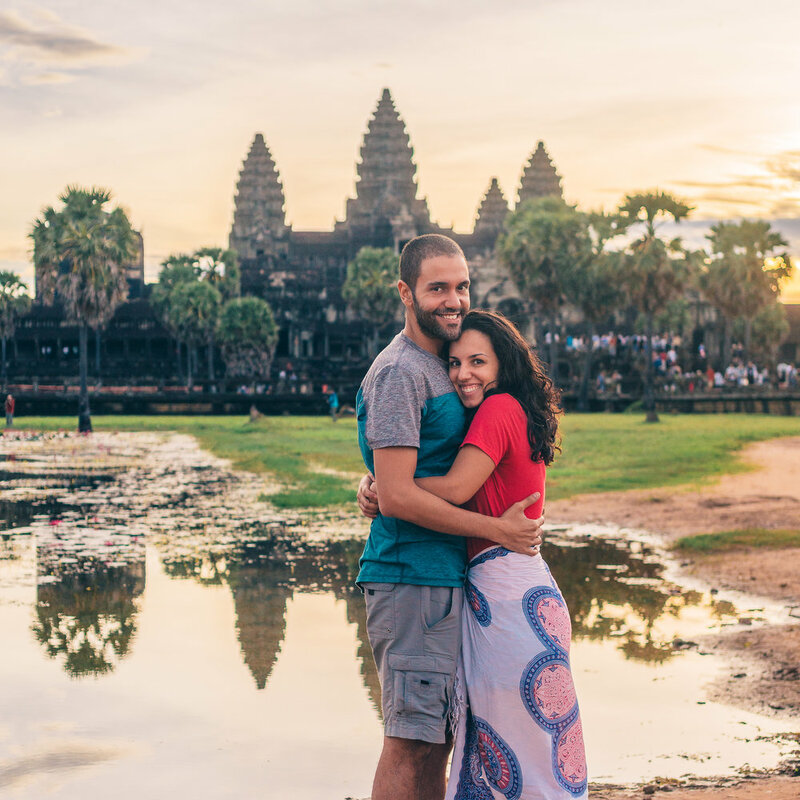 In this short article, we’re going to share with you how to best spend one day in Angkor Wat, how and when to buy your Angkor passes so that you can watch the sunset there for free, and of course, what temples you need to visit to make the most out of your time there. 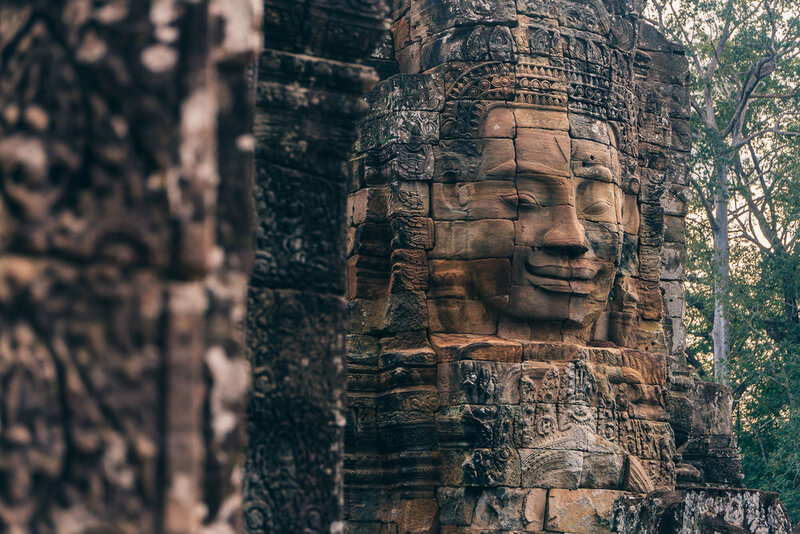 This article is going to cover how to best spend one day in Angkor Wat — but I’d be remiss to not mention that there are also 3-day and 7-day passes available for $62 and $72 per person, respectively. If you want to save money and time like we did, then your best bet is going with the 1-day pass, which costs $37. Side note: If you’ve done some research, you’ll find that a couple of years ago, the prices shot up to almost twice what they were before. 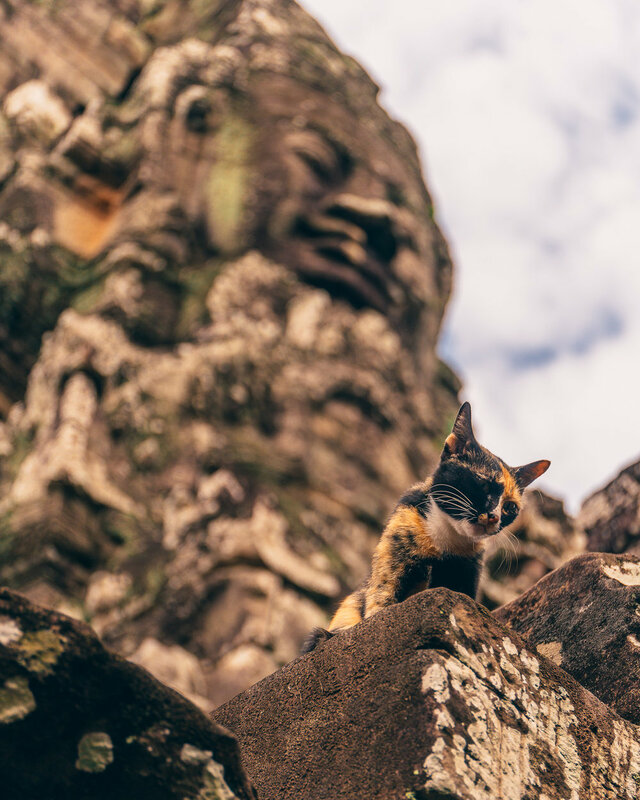 Although it’s relatively expensive (it’s definitely one of the most expensive attractions we paid for in Southeast Asia), we can assure you it is 100% worth it. First of all, how can you watch the sunset at Angkor Wat for free. Well, not literally for free. 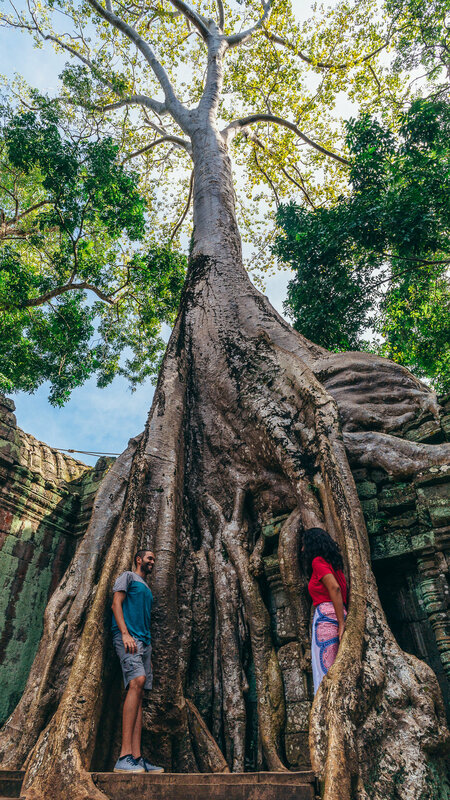 But here’s the trick: If you buy your 1-day ticket between 4:45 PM and 6:00 PM of the day prior to your Angkor visit (the ticket office is open from 5:00 AM – 6:00 PM), you’ll have immediate access to the Angkor Archaeological Park that same evening. So, you’ll be able to enjoy the sunset from any temple of your choosing that day, while still having access to the park the next day as well. The best way to move around Angkor is to rent a bike or hire a tuk-tuk. You can hire a tuk-tuk driver for about $25-$30 per day, and about $10 to get a ride to the sunset at one of the temples/buy your Angkor ticket in the evening. 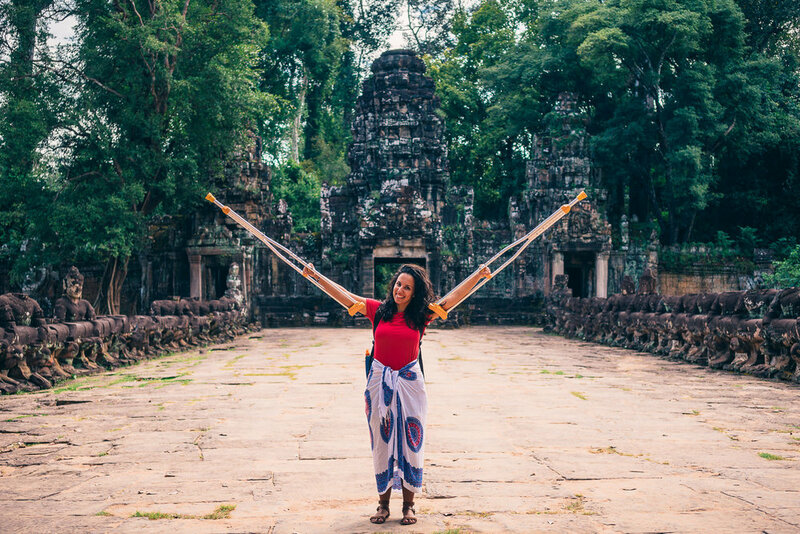 The Angkor territory is enormous — even when traveling from one area to the next via tuk-tuk, there is tons of walking to do within the actual temples. So, I wouldn’t recommend using a bicycle to explore it all unless you’re really looking forward to all of the exercise under the relentless sun. Plus, many times the guides driving you will also serve as tour guides for the area, giving you information on the history behind it all. Our driver Tino was knowledgeable, punctual, and professional as both a driver and a tour guide. We had a great experience with him, so if you’d like his contact information, let us know in the comment section below and we’ll pass it over to you! Tino and Marta's crutches, on the way to buy our Angkor tickets! 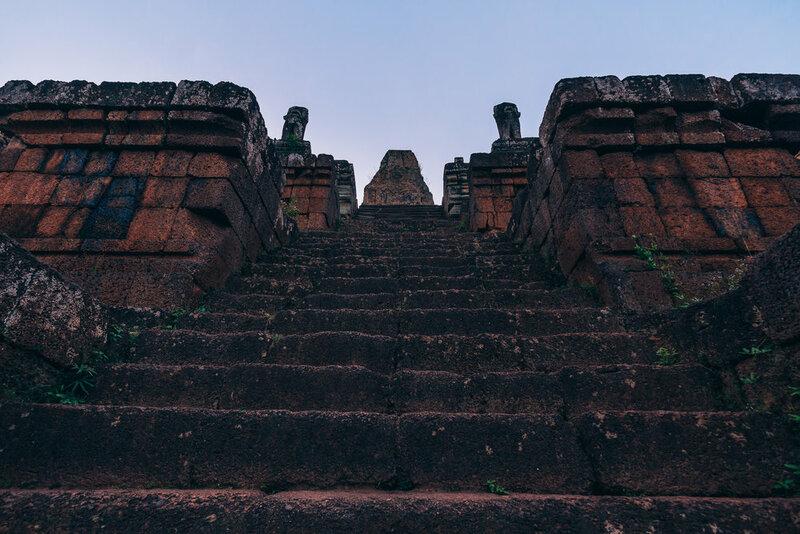 After buying your ticket between 4:45 PM – 6:00 PM at the ticket office on the road to Angkor Wat, you have to hurry to get into the Angkor area and to the temple of your choosing before the sun goes down. 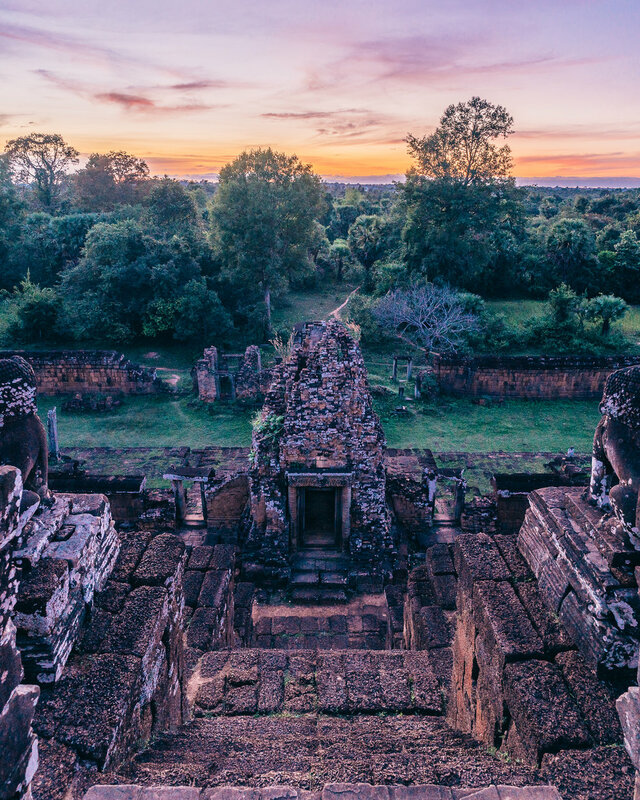 If you want to see something other than Angkor Wat, and something that isn’t as filled with people (you’ll find crowds of people everywhere), I suggest you watch the sunset from the top of the Pre Rup temple. The complex closes at 6 PM, so you have a little more than an hour to explore the temple. Sunset at Prae Roup — even though it’s relatively emptier, except crowds! The temple that you have to visit at sunrise, unquestionably, is Angkor Wat. What most photos of Angkor Wat don’t show is the insane amount of crowds and tourists that are there waiting for the exact same thing. Your best bet, if you really want that photo of Angkor Wat at sunrise, is to get there very early (5 AM, possibly earlier), stake your position in front of the man-made moat to the left of the entrance, and wait for the sun to rise. 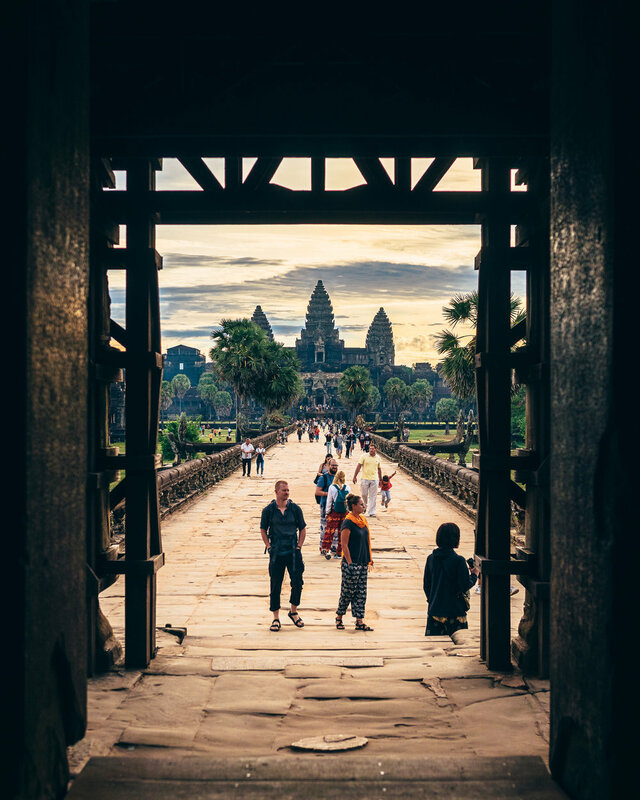 Angkor Wat is an amazing place, but the experience left us a little disappointed simply due to the sheer amount of people that were there, not to mention the fart heard ‘round the world. 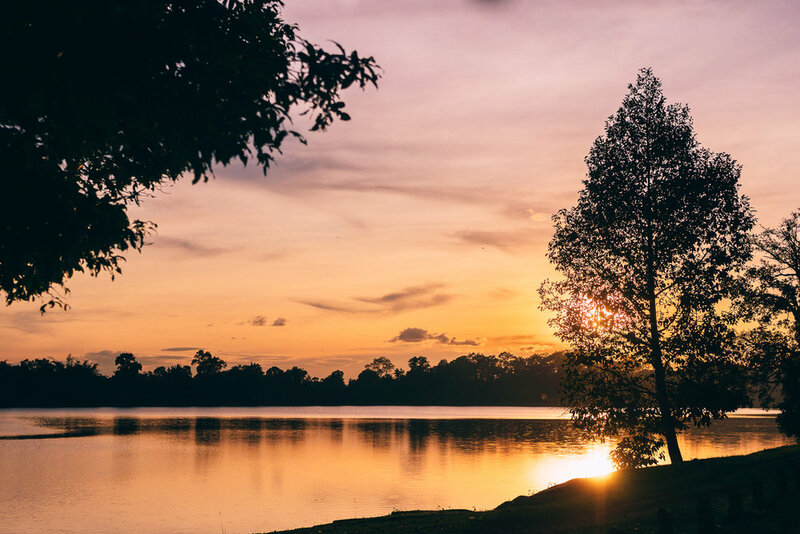 Anyways, watching the sun rise behind Angkor Wat is a sight no one should miss, and afterwards we’d recommend leaving the temple soon after sunrise so that you have enough time to visit the following temples before they’re filled with the same crowds of people. Angkor Wat at Sunrise, AFTER the crowds had dispersed. 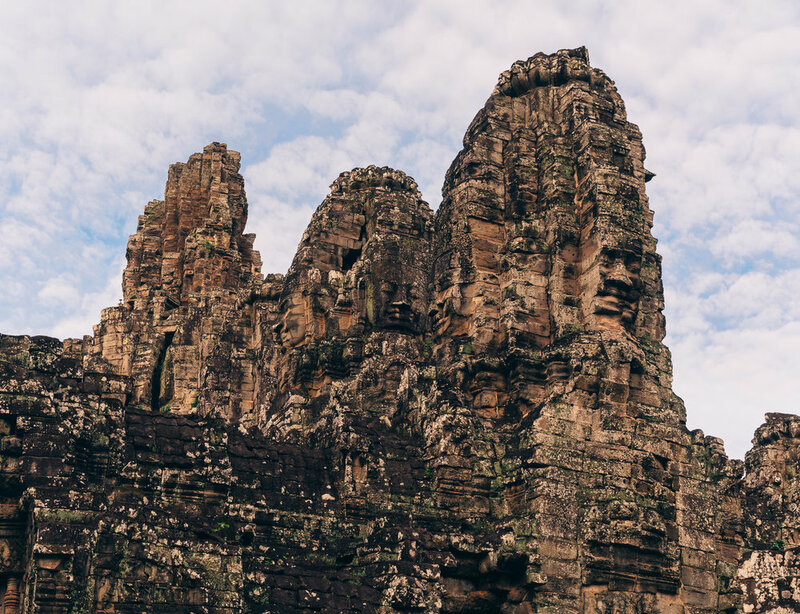 THE Temples to visit with your one day in Angkor!